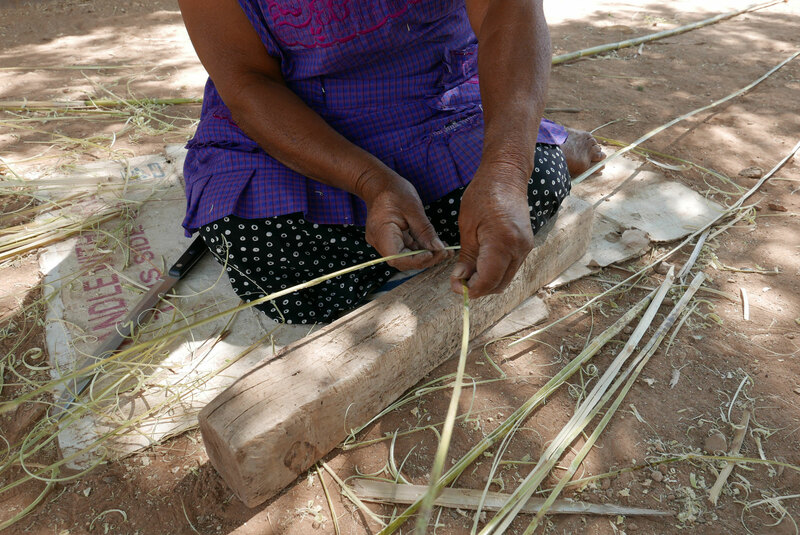 Basket weaving using carrizo is a pre-hispanic craft. 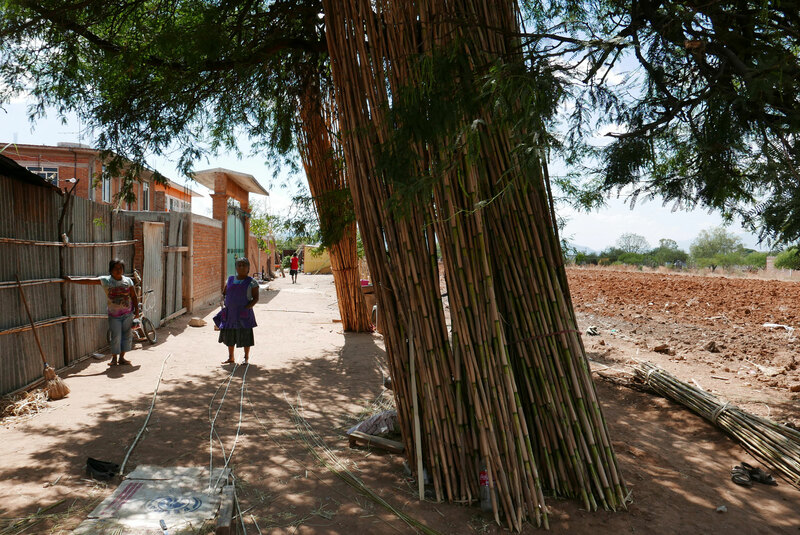 Carrizo is a river reed, very similar to bamboo. It is hard and grows to 5-6 metres long. 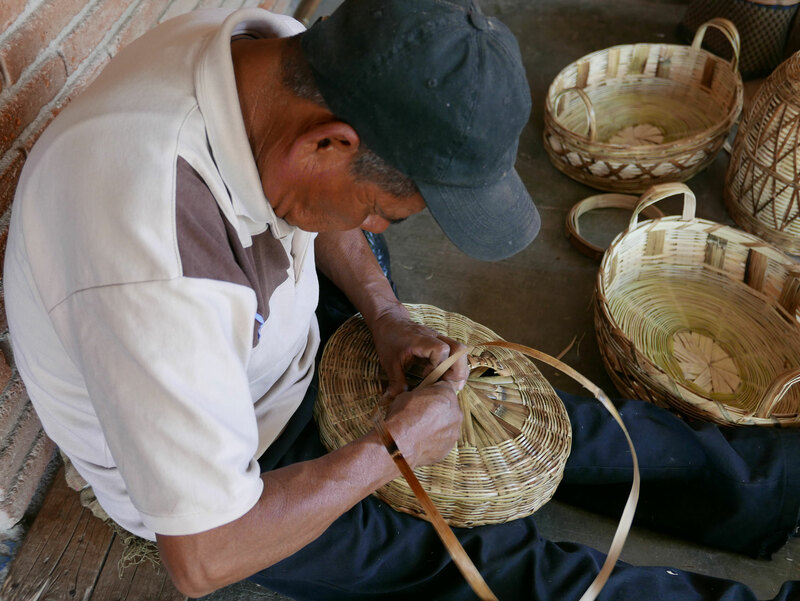 Traditionally, it is used to make baskets. However in modern times, it faces much competition from plastic. 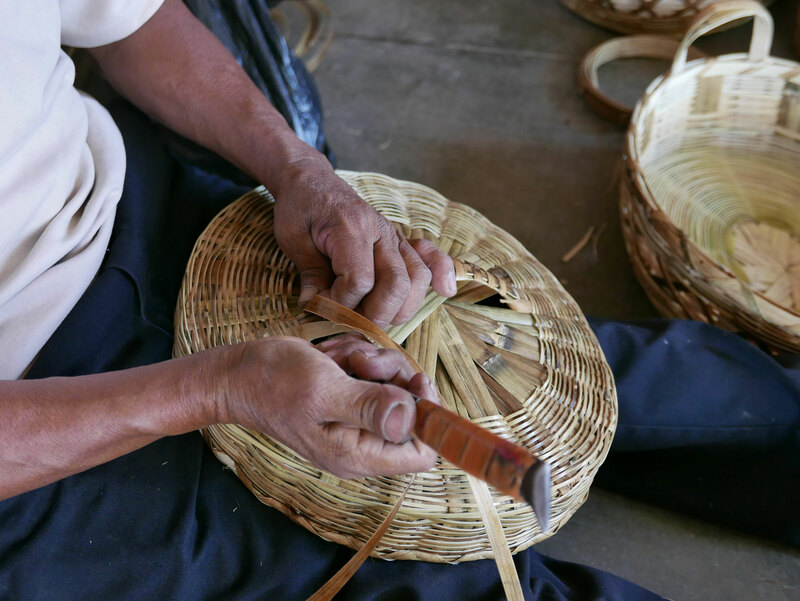 This beautiful craft may well disappear all together. 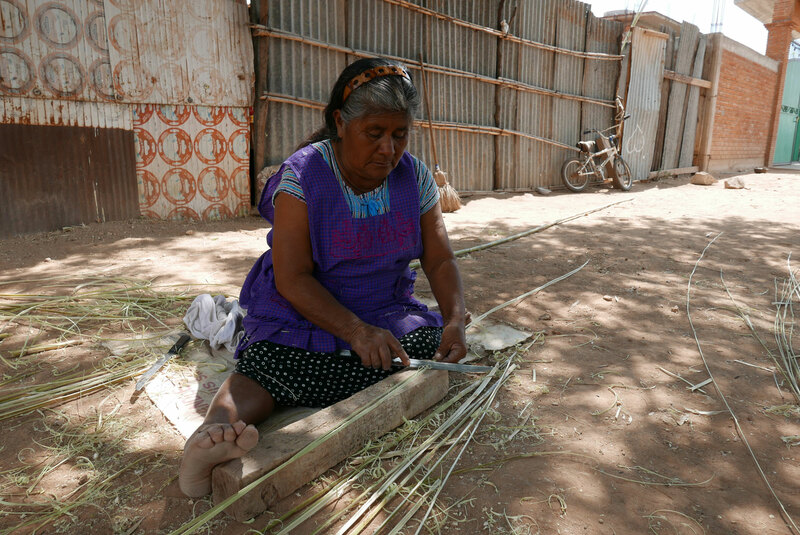 Here Teresa demonstrates how to weave a basket from carrizo. The reed is cut at the bottom of the stem. It is laid over a plank of wood and split into strips longways with a knife. The strips are then shaved down by scraping the very sharp blade of the knife along the surface until they are smooth. Strips which need to be darker are scorched over flames in order to be able to weave in intricate contrasting patterns. 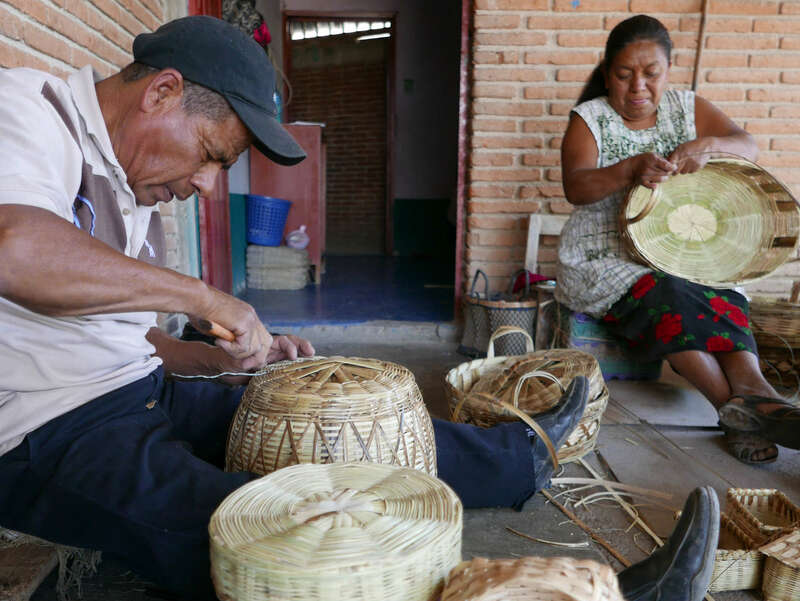 Maurillio was taught how to weave baskets from carrizo by his parents from the age of 12. 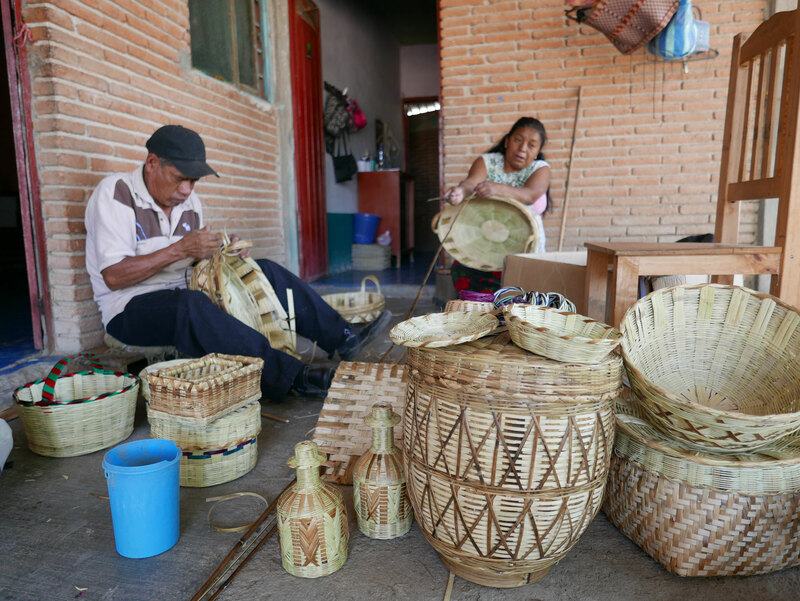 Finally the baskets are woven using a star shape frame which is cut to measure and weaving the body of the basket in a spiral path in and out of the frame. 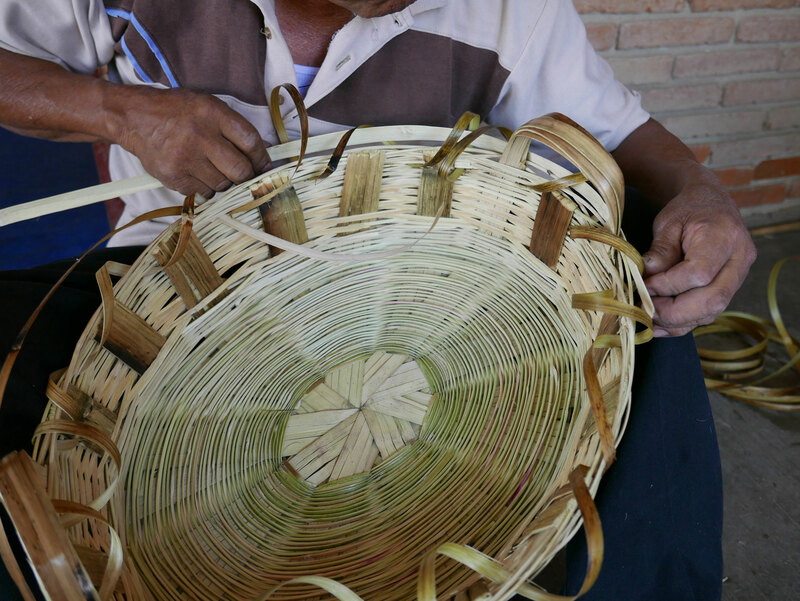 The finished basket is tough and hard wearing. 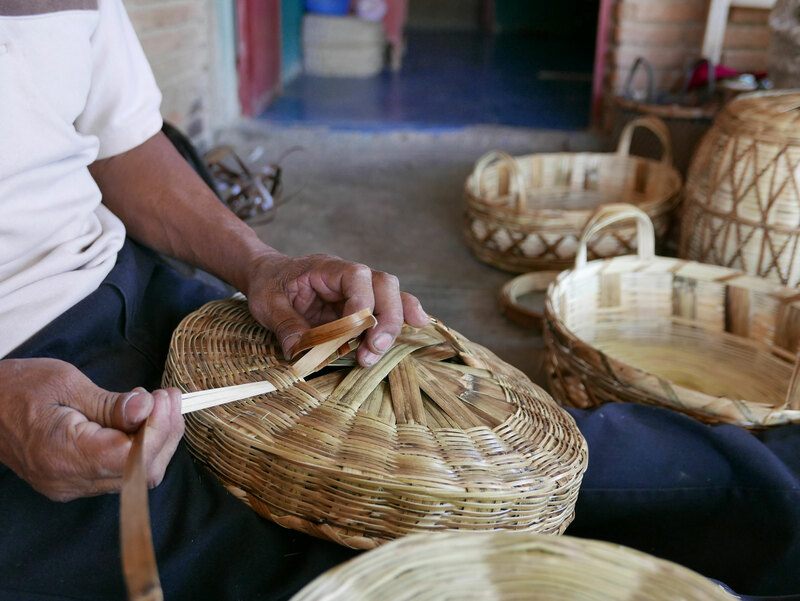 It takes Maurillio 2 days to make one basket.